Tags: Audio CD production, Mastering in Adobe Audition. Have you ever examined a professional mastered CD loaded directly to an audio software editor? By examining how it exactly looks like and by characterization; you can obtain a lot of information as to how a professional mastered CD is done. If you are doing your own DIY mastering, this information can be of great help. Let’s take a close look. 1.) Place the CD audio inside your computer DVD/CD drive. Make sure that the CD album is original and the one you bought at the record stores. This will ensure the CD comes from professional mastering facility. 2.) Launch your audio software editor (in this example Adobe Audition 1.5). 3.) Then go to File – Extract Audio from CD. 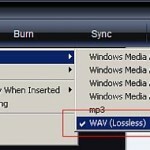 Then the following settings are important (it depends on your CD audio extraction software). a.) 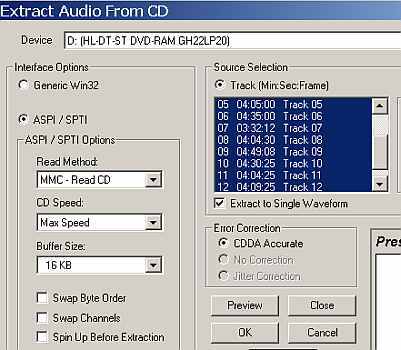 Interface options – select ASPI/MMC Read CD – this is how Adobe Audition or your CD extraction software should read the CD audio. b.) Set a buffer size of around 16KB and try fastest extraction speed first – if there are errors in the CD extraction, try a lower extraction speed. c.) You need to extract the entire album songs to a single waveform. d.) Set the error correction to CDDA accurate. 4.) Finally click OK to start extracting the audio contents. It can take time. Make sure it will not be interrupted or else the content would be corrupted. Refrain from doing other CPU intensive and memory tasks in your computer to make sure that the extraction error free. 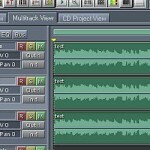 Once the extraction is complete, the entire songs would be extracted to a single waveform. 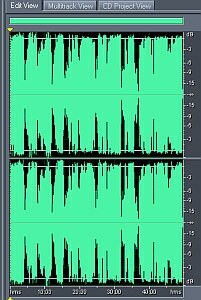 The reason why you should be extracting the entire album into a single waveform is for you to see how the songs waveforms are being arranged. You can also examine how much is the gap or silence per song or any other important parameters which you will be examining later.